Foreign Minister Lieberman tells his Italian counterpart that EU ministers may visit Gaza. After years in which Israel has limited entrance to Gaza in order to isolate Hamas, Foreign Minister Avigdor Lieberman invited his European Union counterparts to visit the region. Lieberman was quoted Thursday by Channel 2 news. The invitation was reportedly extended during a meeting with Italian Foreign Minister Franco Frattini. Lieberman told Frattini that he could lead a delegation to Gaza and visit all parts of the region. Delegates may meet with whomever they wish, the foreign minister reportedly said. He also suggested that the EU invest in improving Gaza's infrastructure. 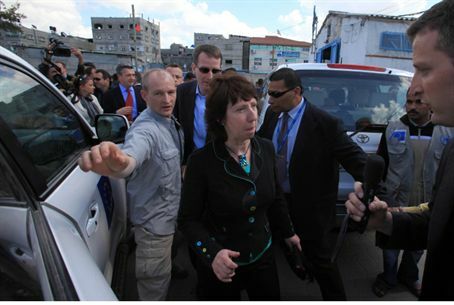 Previously, Israel has allowed United Nations Secretary-General Ban Ki-Moon and EU foreign affairs chief Catherine Ashton to visit Gaza. Egypt has largely sealed its border to visitors as well, although it recently allowed a handful of aid delegates to enter Gaza via the Rafiah crossing. Lieberman's alleged new policy was quickly met with criticism. “The Netanyahu administration is legitimizing Hamas, and continually violates the international isolation imposed on Hamas by Israel's previous government,” said a statement from the Kadima party, which led Israel's previous government.